What elements of this photograph stand out for you? Do you think this photograph is beautiful? What attitude do you think the photographer has towards nature? 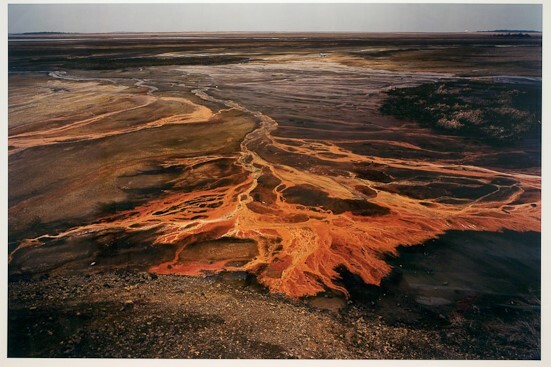 How does finding out that the intense colors in this photograph are due to toxic chemicals that have been dumped onto the land affect your appreciation of it? All textual material original to Philosophy @ the Virtual Art Museum is licensed under a Creative Commons Attribution-NonCommercial-ShareAlike 4.0 International License.